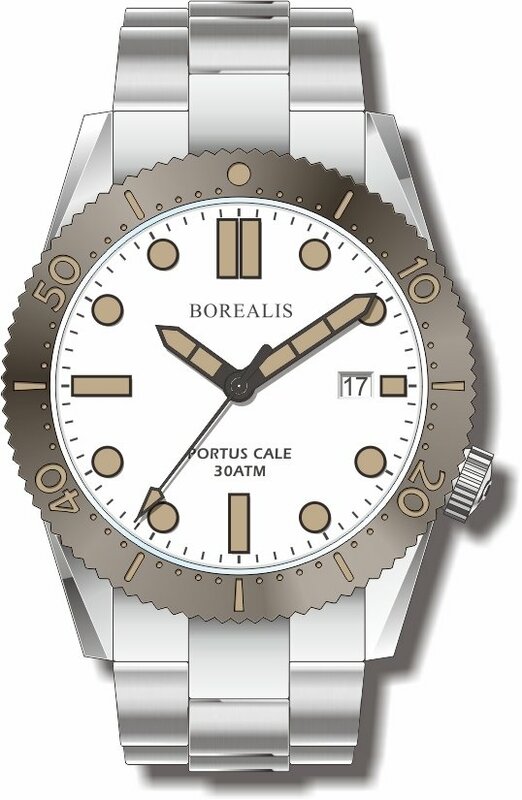 The Borealis Portus Cale 300m Automatic Diver Watch is a vintage inspired diver watch manufactured by Borealis Watch Company complementing the family of Borealis vintage inspired diver watches. It is powered by a Miyota Japanese made 9015 automatic movement that features 24 jewels, 28'800 vibrations per hour, 4 Hz , hacking seconds and a power reserve of 42 hours. 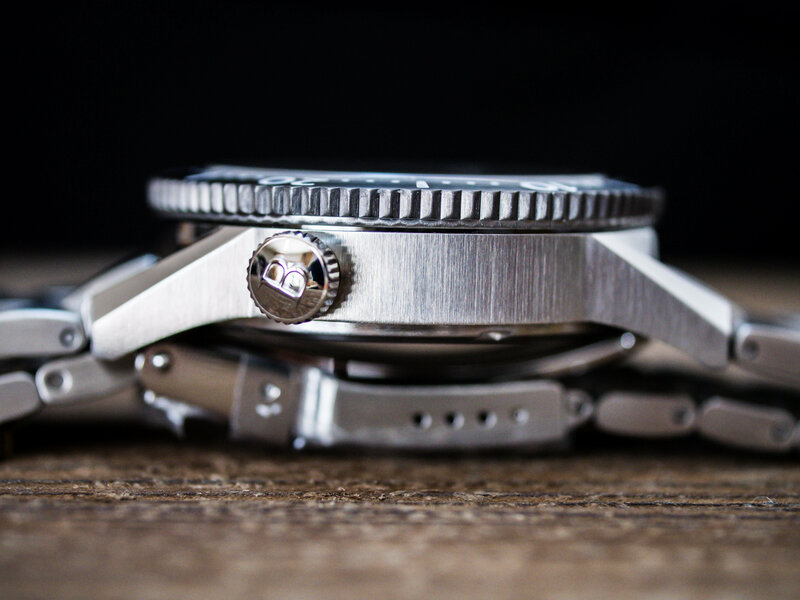 It is a very reliable, sturdy movement that proved to be an alternative to the swiss counterparts and designed from the ground up with 21st century technologies. 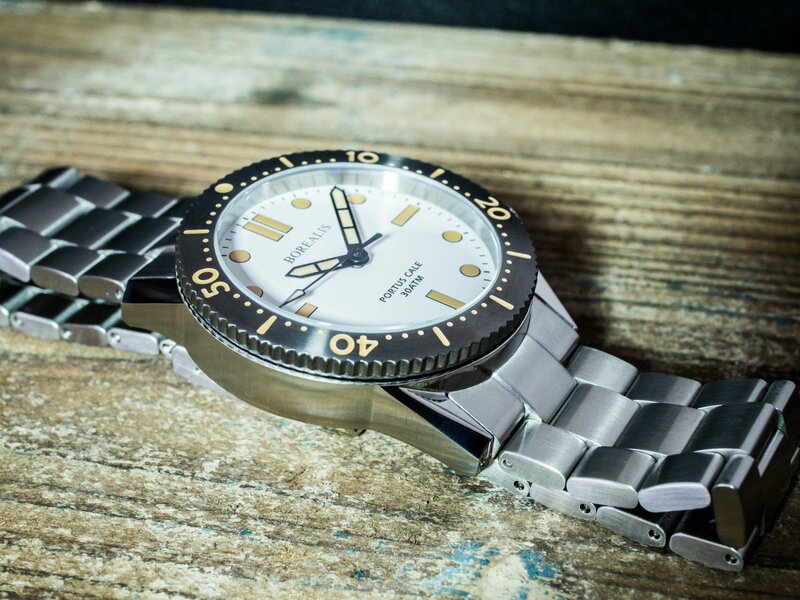 Superluminova White Lume - a new lume compound offered by RC Tritec that is both white in daylight and darkness. 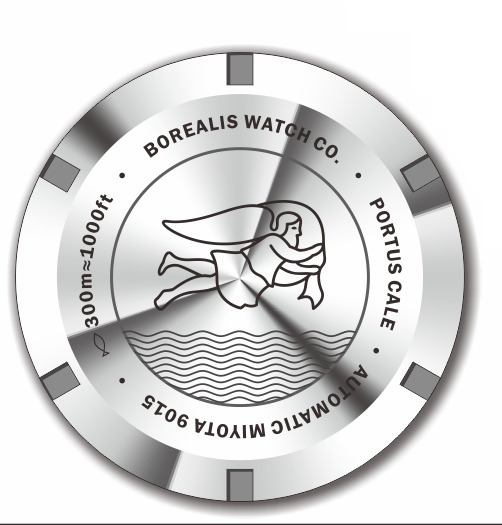 All watch models of the Portus Cale collection are complimented by a lumed PVD cotated bezel available in black, blue or gray depending on the dial variant, flat sapphire glass, 316L stainless steel case and a high quality 316L stainless steel bracelet with a clasp that features 4 micro adjustment positions. 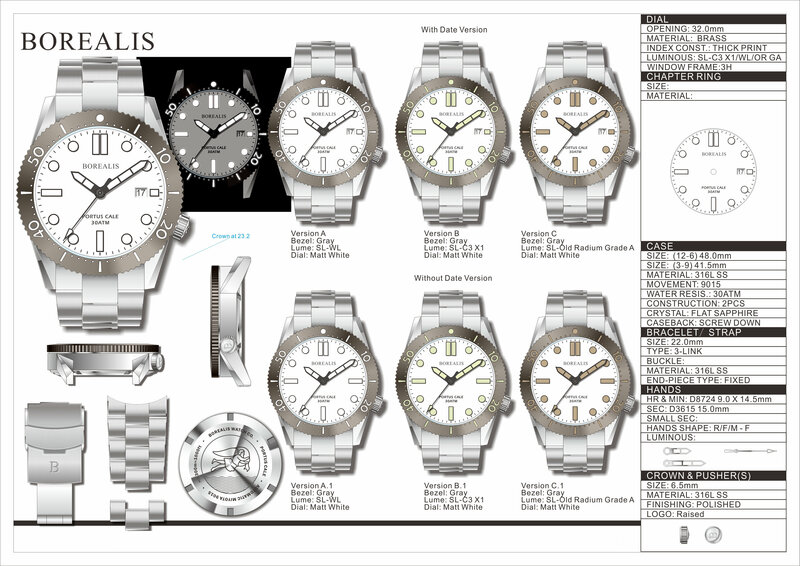 316L Stainless steel bracelet with 22mm at lugs tapering to 20mm at the fold over clasp with four micro adjustments.